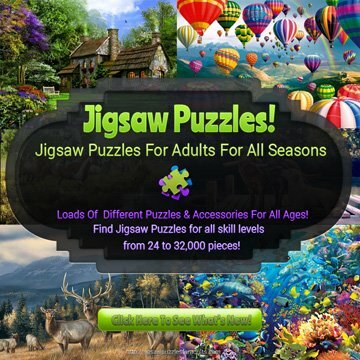 Are you looking for College Football Jigsaw Puzzles ? Do you know someone who’s a College Football fan? 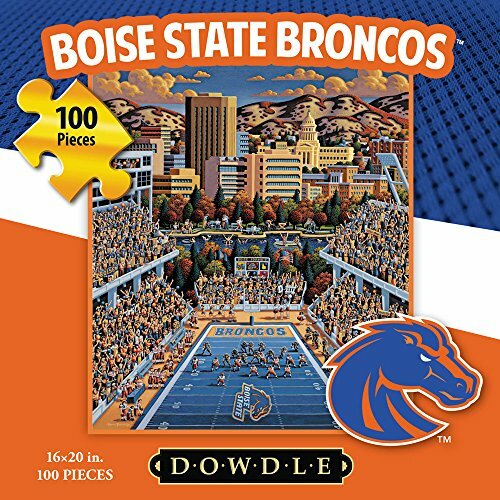 These College Football Jigsaw Puzzles by Eric Dowdle would make the BEST holiday gifts for anyone who loves football and can’t get enough during the football season. 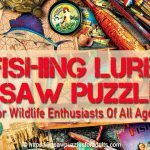 Whether you are a College Football fan, or you just root for the home team, or you are a collector of College Sports memorabilia you won’t want to miss these College Football Jigsaw puzzles. 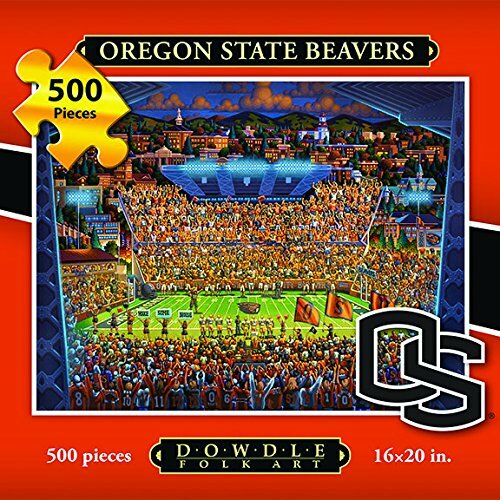 Each College Football Jigsaw Puzzle has 500 pieces and measures 16 inches by 20 inches. 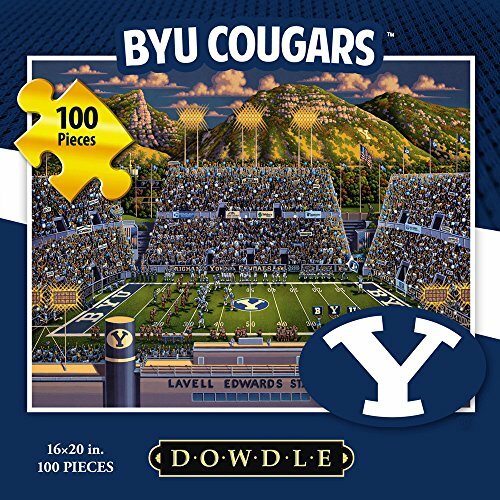 College Football puzzles by Eric Dowdle => Find Your Home Team College Football Stadium Jigsaw Puzzle at a Great Price! 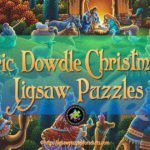 On this page I’ll be showing you the a number of great College Football Jigsaw Puzzles by Eric Dowdle and giving you a description and all the specific details of the most popular College Football jigsaw puzzles. 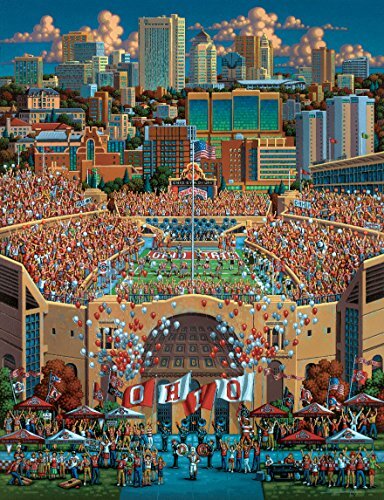 Eric Dowdle captures the excitement and energy in his College Football Stadium Series of paintings which are now available for you as jigsaw puzzles. He makes every effort to let you experience the city, the stadium, and the football game with all the enthusiasm that all the home town fans would have. 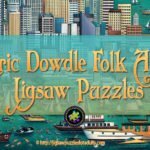 The attention to detail is why Eric Dowdle’s paintings let you feel as if you have “been there” yourself and “done that” and you simply can’t wait to return. 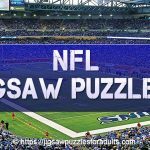 If you are a college football fanatic or you just love your home team you’ll want to collect the whole College Football Stadium Series of jigsaw puzzles. 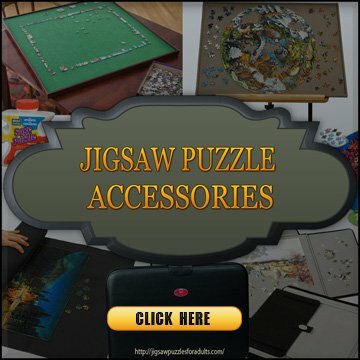 When it comes to buying unique Sports Jigsaw Puzzles you’ll have a much better chance at finding exactly what you are looking for online. 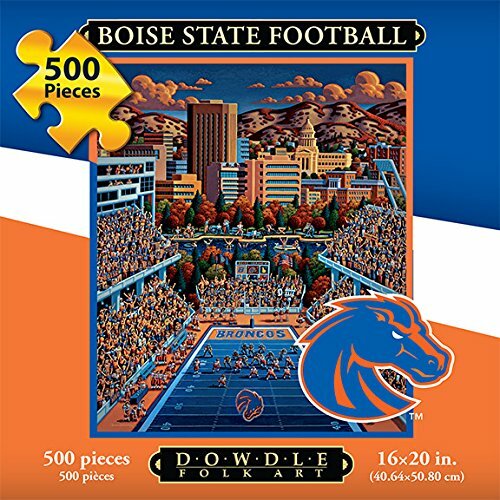 You could probably find these College Football Jigsaw Puzzles by Eric Dowdle in your local hobby shops or maybe even at your local big box store but I doubt it if you will find exactly what you are looking for. 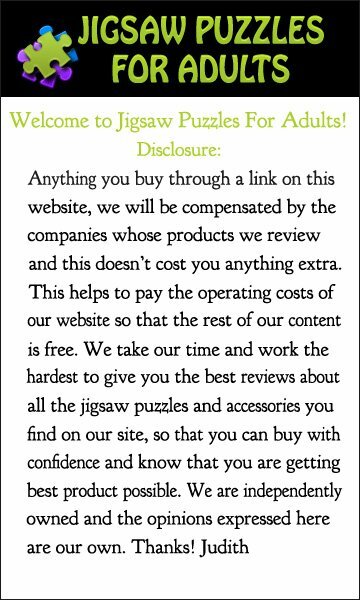 Buying your college football jigsaw puzzles online will be easy and much faster as well as being a lot cheaper. So go ahead and browse through this selection and see if your home team is here. 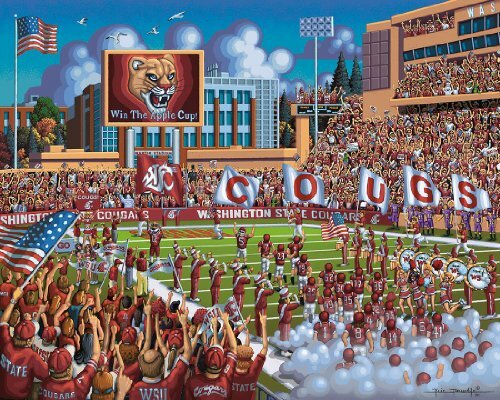 Washington State University (WSU) Cougars and the Martin Stadium is portrayed in this Eric Dowdle jigsaw puzzle. If you’re one of the loyal Pullman Wa. fans you are going to want to pick up this jigsaw puzzle as collector’s piece. 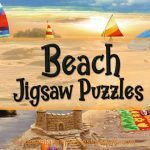 You’ll have loads of fun putting together this 500 piece jigsaw puzzle that measures 16 inches by 20 inches. Go Buckeyes Go! 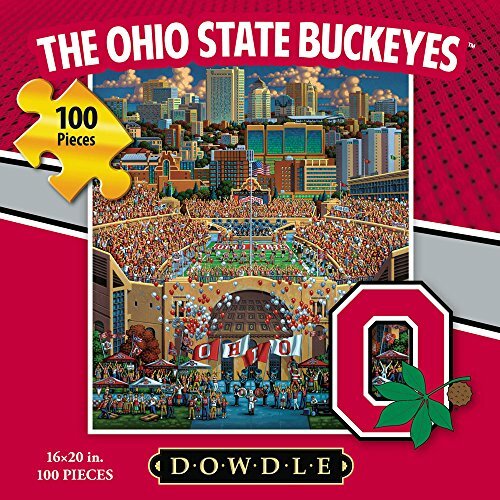 This Columbus college football stadium jigsaw puzzle is portrayed by Eric Dowdle as an exciting game day in Ohio Stadium. The Ohio State Buckeyes football team claims 7 National Championships along with 36 conference championships and 10 undefeated seasons. WOW! 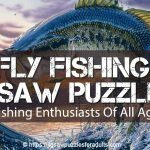 You’ll want this jigsaw puzzle as part of your collection. Any Ohio State University Buckeyes fan would love this puzzle that has 500 pieces and measures 16 inches by 20 inches finished. 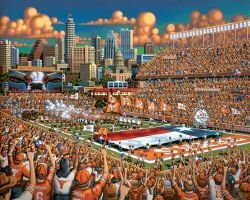 Eric Dowdle’s captures all the pride and energy of Austin, Texas in University of Texas Longhorns Jigsaw Puzzle. The setting is during a game with the city of Austin , Texas in the background. You see the stadium filled with fans waving their “Hook ‘Em Horns” while the marching band and the team football layers enter the field all ready to begin the game. 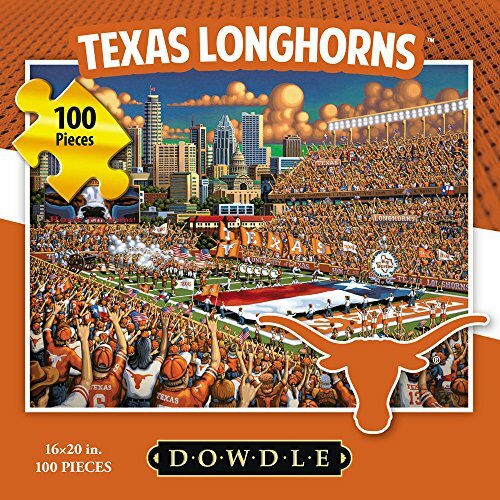 Be part of the excitement while doing this awesome University of Texas Longhorns Jigsaw Puzzle that has 500 pieces and measures 16 inches by 20 inches. 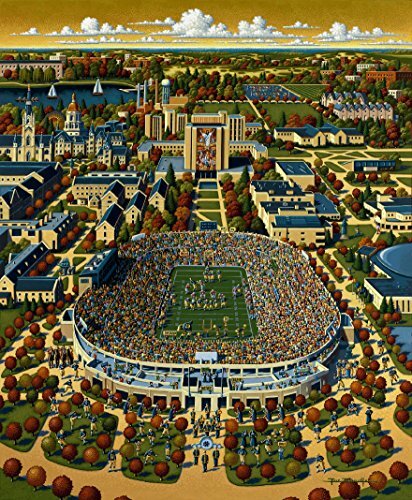 The Notre Dame a Catholic University in Indiana is a subject of this next college football stadium series jigsaw puzzle. The University of Notre Dame Fighting Irish jigsaw puzzle is captured by Eric Dowdle at the height of a football game in all it’s fall colors. If you are a fan of the University of Notre Dame Fighting Irish you’ll really enjoy this 500 piece jigsaw puzzle that measures 16 inches by 20 inches when finished. Eric Dowdle has depicted the enthusiasm and pride of the University of Texas A&M Aggies at the home Kyle Field. This art work was set at dusk, and the energy abounds in this jigsaw puzzle as the fans go wild in support of their home team. 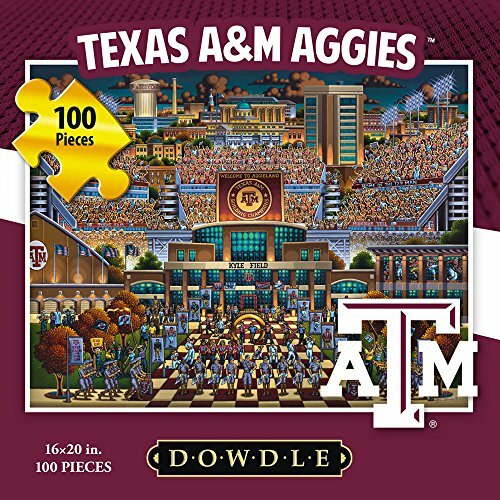 You’ll love this Texas A&M University Aggies Jigsaw Puzzle fan or not this 500 piece jigsaw puzzle that measure 16 inches by 20 inches. 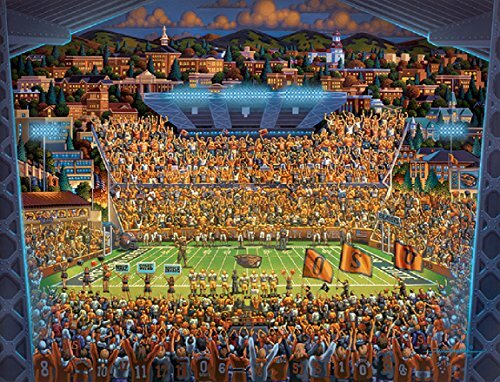 Another one of Eric Dowdle’s College football Stadium Series jigsaw puzzles depicts the Oregon State Beavers football game against the green backdrop of Corvallis, Oregon. The Oregon State Football team has an outstanding reputation as a very successful football team and is known for producing many great NFL football players. In this puzzle Eric shows Oregon’s State football teams redesigned branding and mascot Benny the Beaver throughout the artwork. 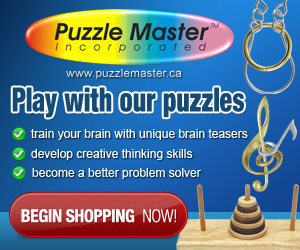 This 500 piece puzzle measures 16inches by 20 inches when finished. 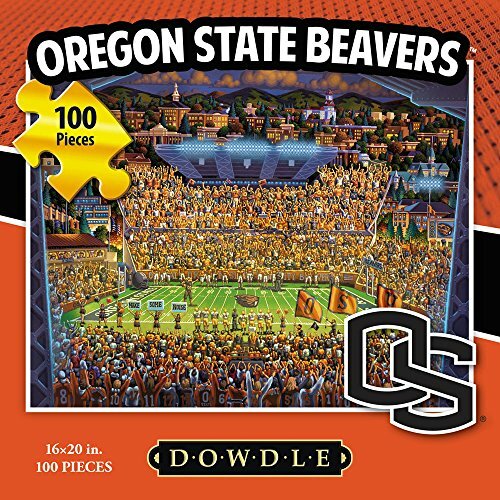 If you’re fan of the Oregon State University Beavers this puzzle would make a great collectors item. Are you a Utah Football fan? If this is you or you know of a Utah football fan you’ll love this Salt Lake City, University of Utah football team in action at their home turf Rice-Eccles Stadium. 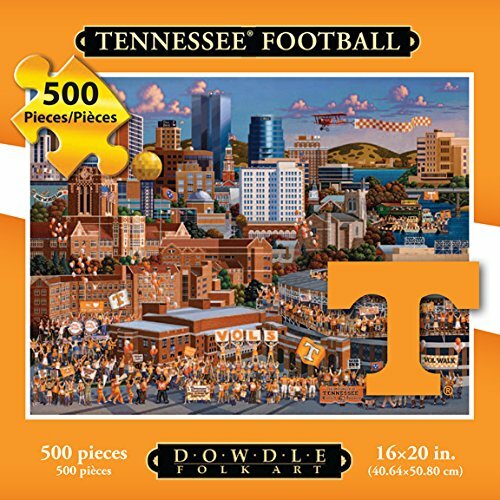 Eric Dowdle captures the excitement and action in this wonderful college football jigsaw puzzle. 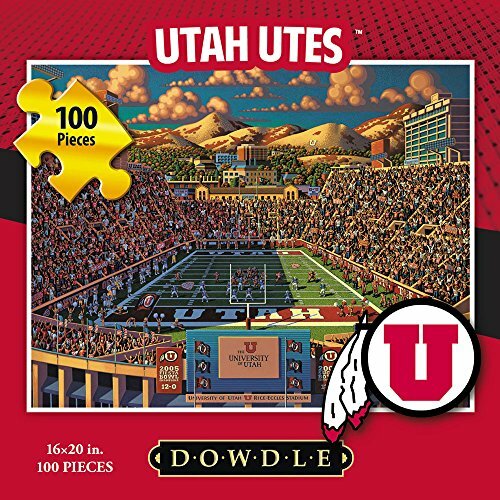 The University of Utah football jigsaw puzzle has 500 pieces and measures 16 inches by 20 inches when completed. 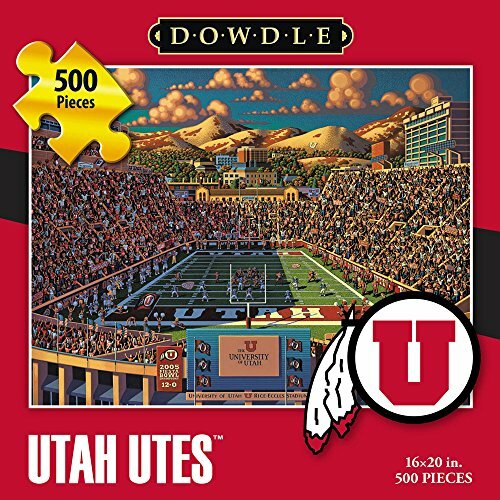 Eric Dowdle has done it again with this great college football jigsaw puzzle from the COLLEGE FOOTBALL STADIUM SERIES. 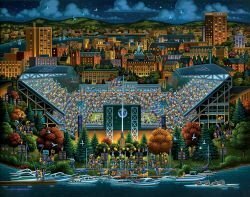 He has depicted an amazing night scene of a Washington Huskies football game with the lights of the stadium glowing surrounded by the campus. Loyal fan, cheerleaders and Harry the Husky cheer on this amazing football team. If you notice even the football stadium creates the letter “W” everyone cheering on the team Go Huskies! Go! 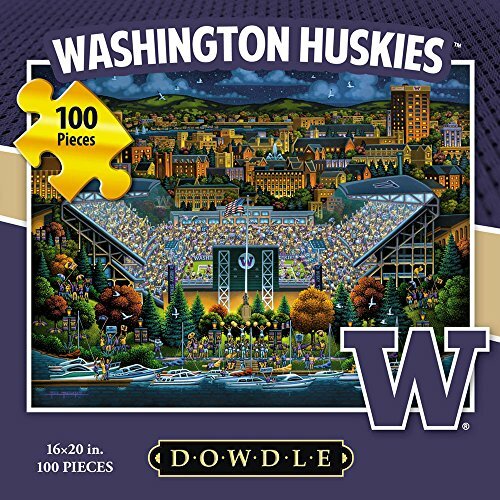 This 500 piece University of Washington Huskies jigsaw puzzle measures 16 inches by 20 inches when finished. 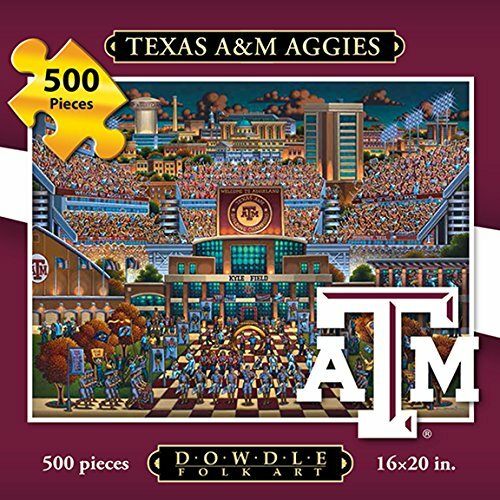 This puzzle makes the perfect gift for any college football fan or collector. Are you one of those fans of the University of Oregon football team. The University of Oregon is located in Eugene and is known for its fanatic fans. Eric Dowdle has captured the spirit of the Oregon Ducks in Autzen Stadium. 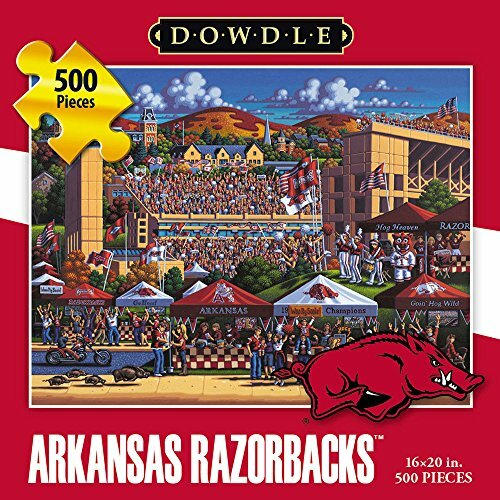 This is one of Eric Dowdle football stadium series of college football jigsaw puzzles. 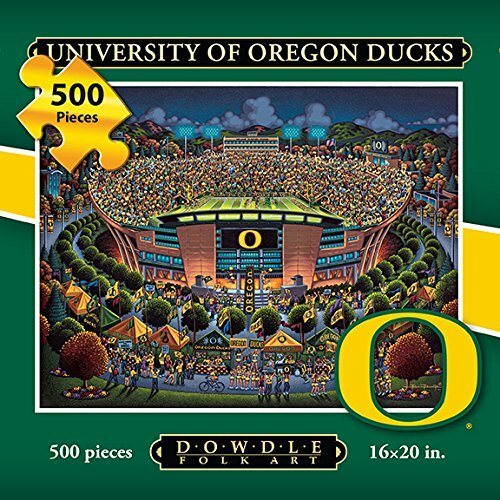 If you are a collector or if you know of someone who is a fan of the University of Oregon Ducks this jigsaw puzzle would make an awesome gift. 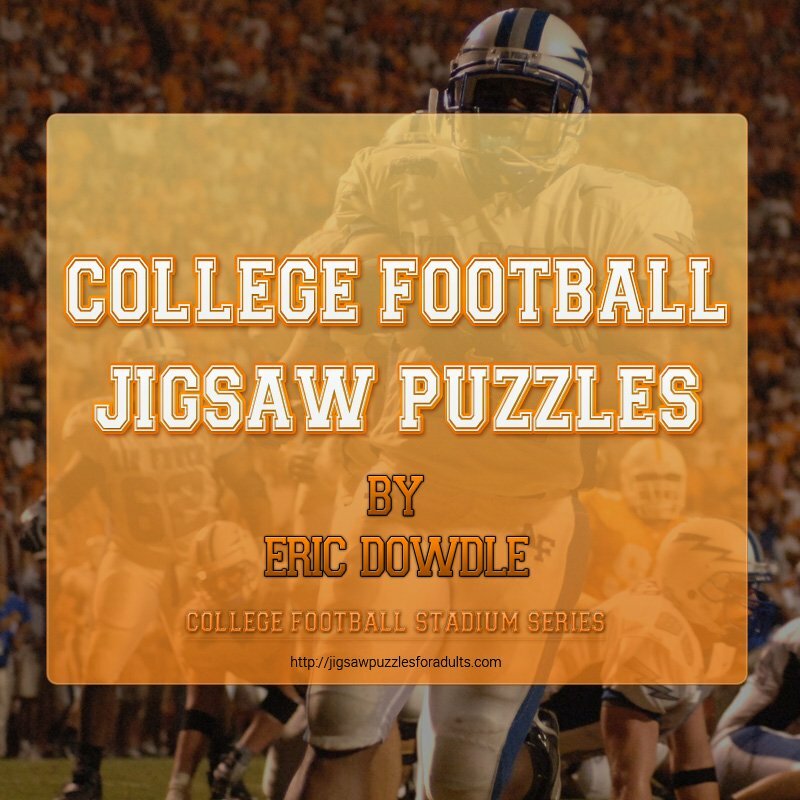 Though the puzzle has only 500 pieces you’ll enjoy how Eric Dowdle has showcased collegiate football at its best.